Beijing last week hosted a week of livestock events on animal protein production systems and know-how. The industry gathered for a trade fair and a series of conference events at VIV China 2016, the VIV China International Conference and the World’s Poultry Congress 2016. 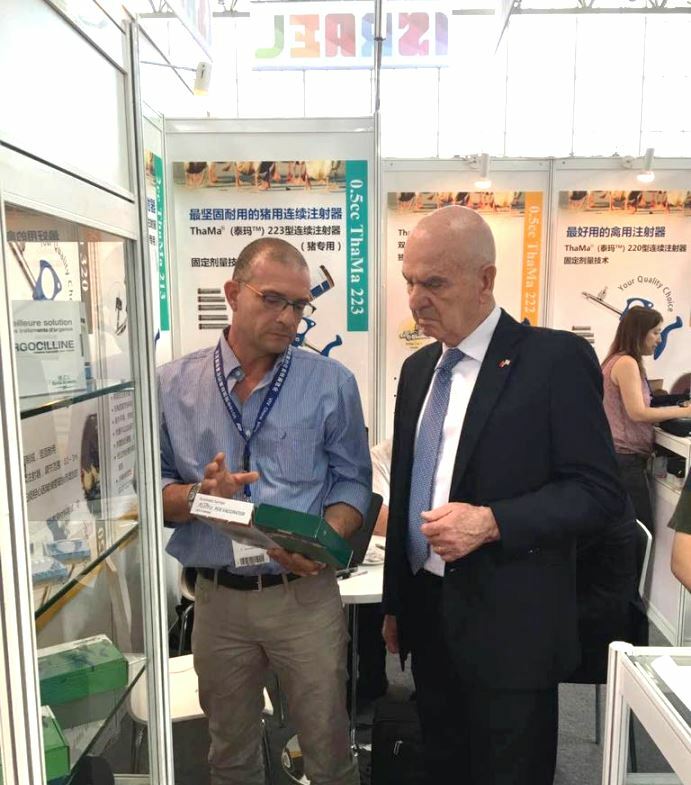 ThaMa-Vet’s Udi Nechmad and Hadas Kazs-Shive represented ThaMa-Vet, met with business partners and updated Israel’s ambassador to China, Matan Vilnai on ThaMa-Vet’s latest business developments. ThaMa-Vet CEO Udi Nehmad gave a presentation at the Israel innovative technology conference on September 7, organized by the Israeli Embassy.